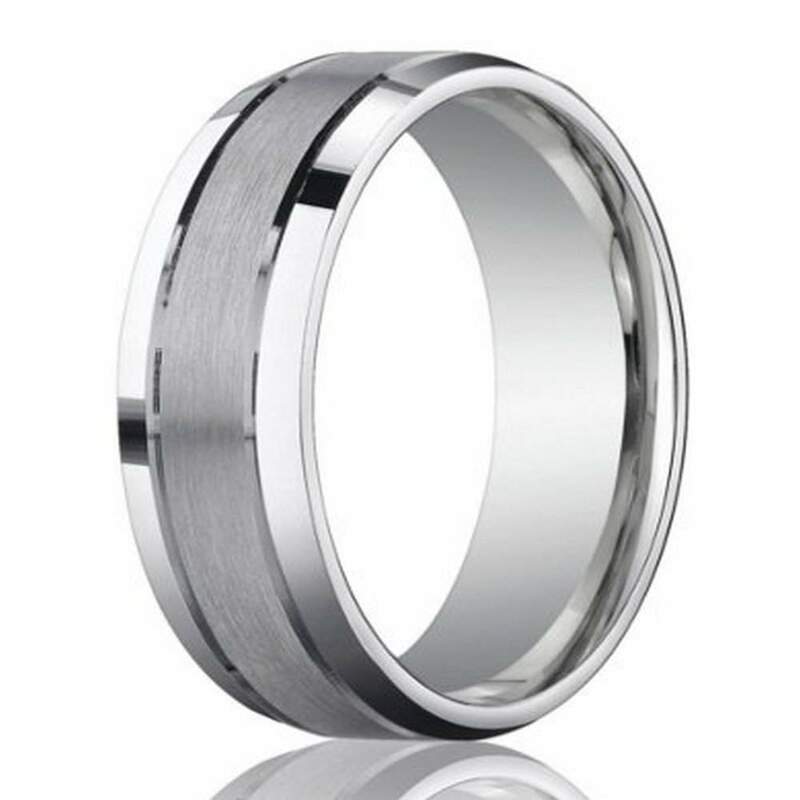 An exquisite attention to detail and design is immediately evident in this designer platinum wedding band for men. 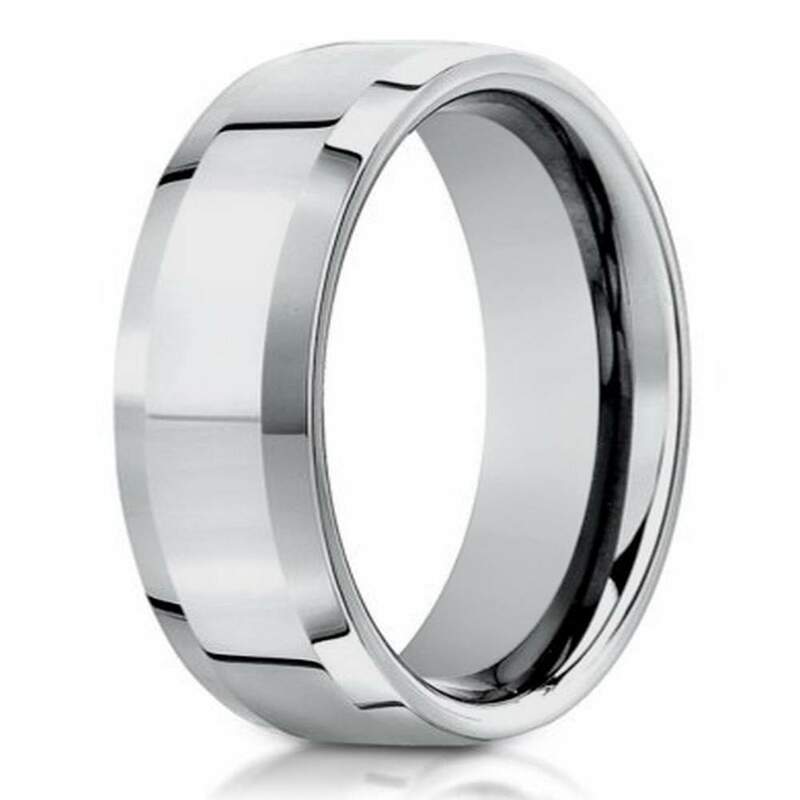 Made of 950 platinum and boasting a modern appeal that will last a lifetime, this 6mm comfort fit ring offers a satin finish center bordered by polished cuts, and finished with polished beveled edges. Comfort fit rings usually measure 1/2 size smaller due to the additional metal inside the ring. We recommend having your finger measured for a comfort fit ring at your local jewelry store.